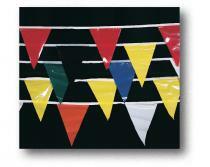 Our Super Pennant Flags come in 100’ long strings containing 48 brightly colored 9”x12” pennants. They are ideal for use at construction sites, scaffolding, wet floors, sporting events, grand openings, open houses, and have a myriad of other practical applications. 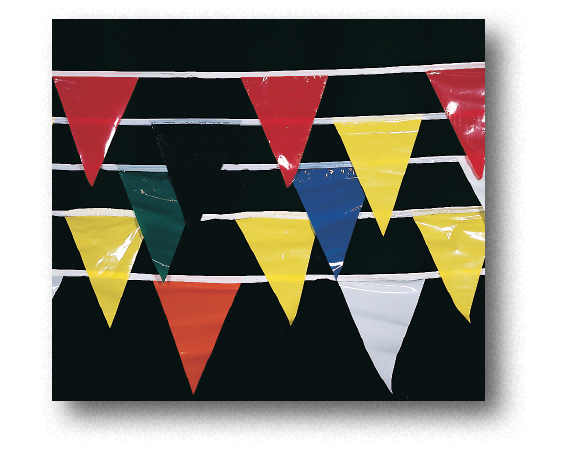 The pennants are available in a 6 color combination (green, blue, white, orange, yellow & red). 10 strands per box.